Supports the hormonal cycle of the mare naturally by focusing on the root causes of the discomfort, which manifests itself in mood swings. Both stallions, mares and geldings often experience the same stress of hormonal fluctuations, which is why this product is suitable for all sexes. Symptoms can be: mood swings, aggression, flirting, 'lightness' and disturbed performance. The position of the ovaries (just behind the saddle) means that the discomfort often results in a reluctance to drive with something on her back, swishing tail and even goats or kicks. 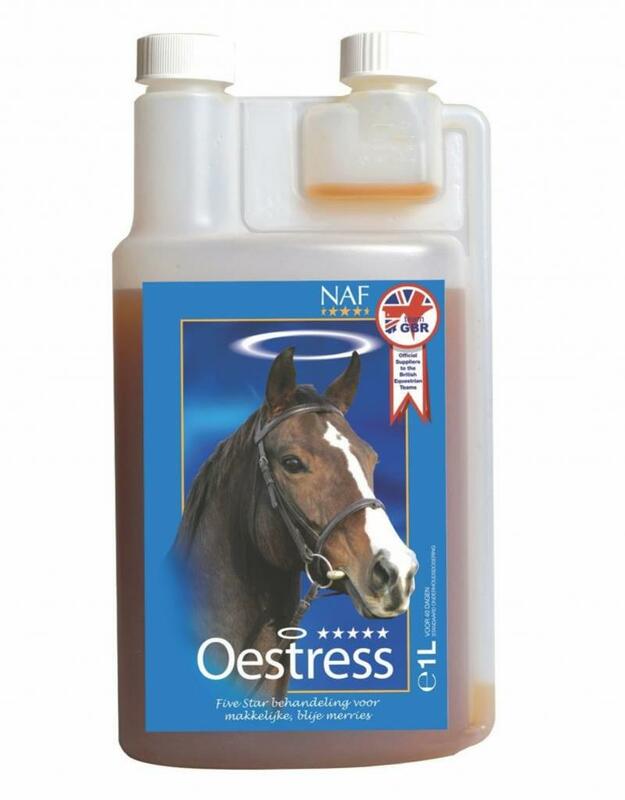 The unique composition of Oestress nourishes the mare with extracts of vegetable ingredients, which have been used for hundreds of years to support hormonal balance. By supporting the hormone level in a natural way, she will be more inclined to relax and concentrate comfortably on her work. Oestress also contains biological magnesium to support anxiety and muscle tension in mares with hormonal fluctuations. Finally, Oestress is rich in natural antioxidants to support the removal of toxins. Oestress should be fed daily in the spring and in the summer season and the ration can be increased according to its oestrus cycle. If necessary, Oestress is suitable for use throughout the year.